Showcast are proud to offer their members an opportunity to work with the greatest voice teacher of our time, Patsy Rodenburg. The 2019 Showcast Scholarship will be awarded to one participant for the 3-Day Ancient Storytelling & Chorus Masterclass in Greek Classical Text with Patsy Rodenburg. Through working with Patsy Rodenburg across this three day Masterclass, you will find the momentum of a classical text, unlock the story and interactions between the character, chorus and audience giving you a fresh appreciation for the rich bedrock of our ancient art. 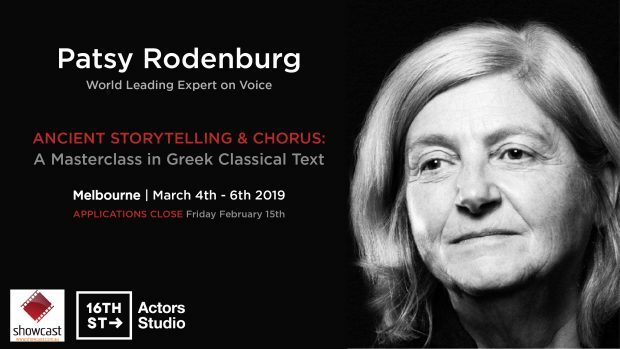 The 2019 Showcast/16th Street Actors Studio Scholarship will be awarded to one participant for the 3-Day Ancient Storytelling & Chorus Masterclass in Greek Classical Text with Patsy Rodenburg. 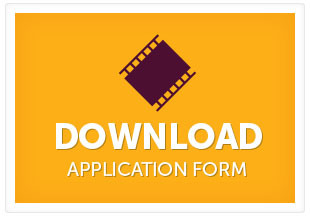 As this is a professional development program, a decision on the place will be determined according to the strength of application (your credits, showreel/video, previous training and your letter of intent) – and please note that incomplete applications will not be considered.